It's the first of July, and that means that it's time for a FUN new challenge at V's Sweet Ideas. 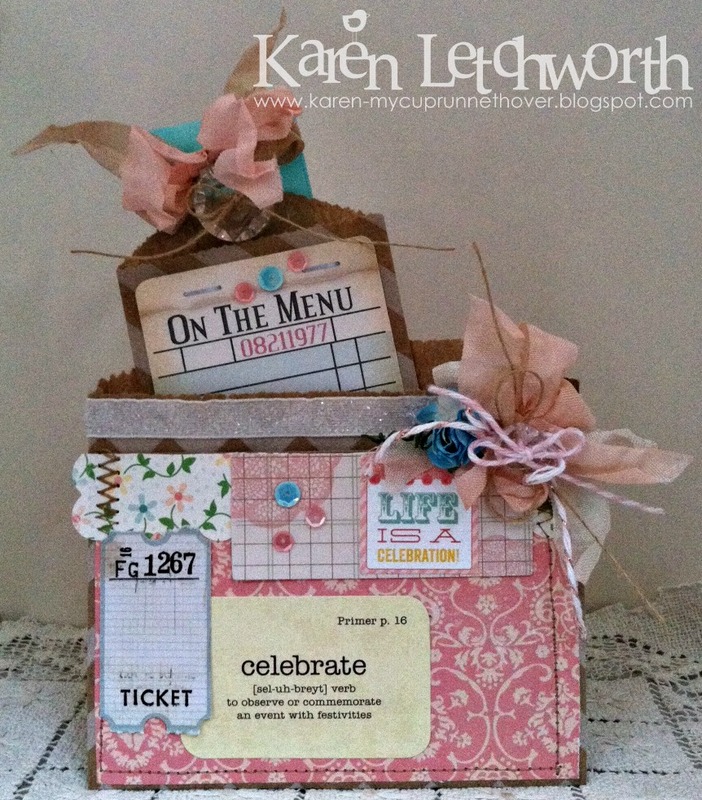 This month the challenge theme is CELEBRATE! You can share any type of card or project that expresses a celebration to you. Just tell us how you were expired by the "Celebrate" theme. We love seeing your wonderful projects linked to our monthly challenges, and one lucky person will win a gift certificate to V's Sweet Ideas. V's Sweet Ideas carries their own line of sweet stamp sets, as well as other big brands of stamps, dies, sequins, trims, and embellishments. LOTS of great supplies to adorn your next project. 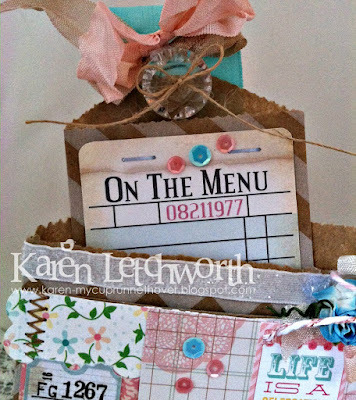 My little pocket card uses several products from V's Sweet Ideas including a Large Kraft Bag With Stripes that I used to create my Pocket Card, and a smaller White Diagonal Striped Itty Bitty Kraft Bag that I tucked inside. I also attached a couple of the adorable Chic Mini Tags, including one from the Love Note Mini Tags Collection. I attached a length of May Arts Metallic Velvet White Trim across the pocket, and a piece of May Arts 1.5" Linen Seafoam Ribbon on my tag, as well as some different colors of Baker's Twine and Seam Binding (Rose Petal and Cream) in my big bow. One of my most favorite embellishments from V's Sweet Ideas are their GORGEOUS Sequins. I took a close-up of these lovely embellishments (above) so that you can see how cute they are. V's carries so many sweet colors of sequins so that they will match pretty much ANY project, and you just pop them on to add a soft, sweet touch. You get a good sized baggie of them for just $1, which is the best price (not to mention selection) that I've found anywhere. You really will LOVE them! I even made a second Pocket Card for V's Sweet Ideas new Celebrate Challenge using yet another one of their sweet new bags. This one is the Navy Blue & White Horizontal Striped Middy Bitty Bag with a Notebook Stripe Little Middy Bitty Bag tucked inside for journalling. I also included a sweet Chic Tag Love Notes Mini Tags Collection which is where I added the rub-on sentiment and some sweet Sequins and several of V's lovely Ribbons, Trims and Twine. 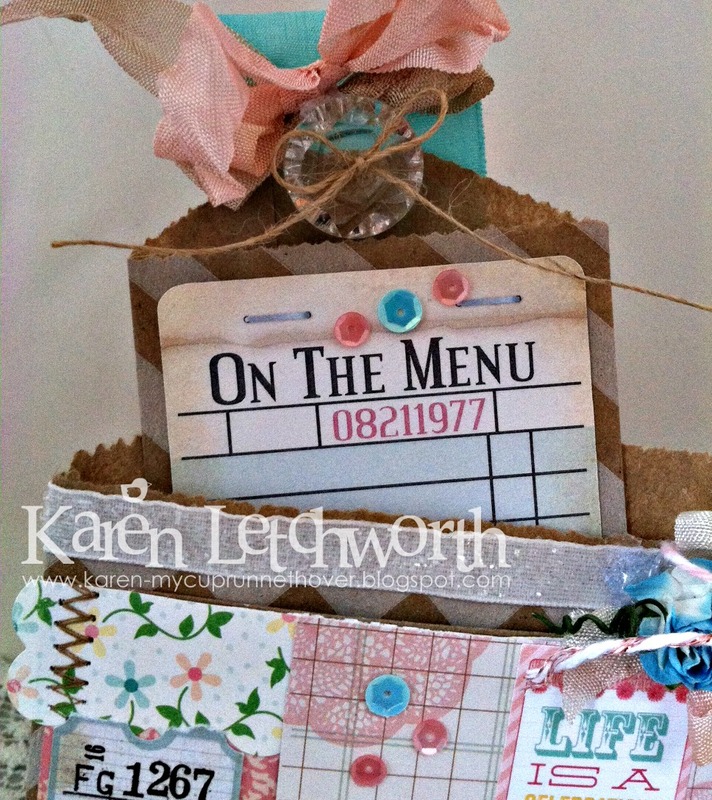 There are SO MANY fun embellishments at V's Sweet Ideas. So be sure to stop on by V's Sweet Ideas Blog to play along in this month's challenge, and take some time to browse their Sweet Shoppe for some sequins and goodies of your own. Shipping rates are always VERY reasonable as well. We look forward to having you join us. Thanks so much for stopping by my blog today. I'm always SO grateful for your visits, and hope that you are having a wonderful day. I'm SO busy right now.....our daughter is getting married in just NINE DAYS! I'm SO excited. 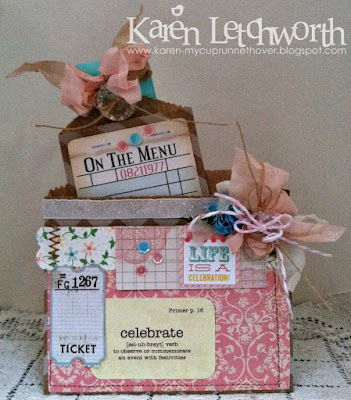 I love the way you combine patterns and colors so beautifully in all your projects. You are blessed to be a master card artist, my dear friend. Blessings to you and your family! They are both AMAZING!! I adore all the fun details. The navy blue & red is just GORGEOUS!! 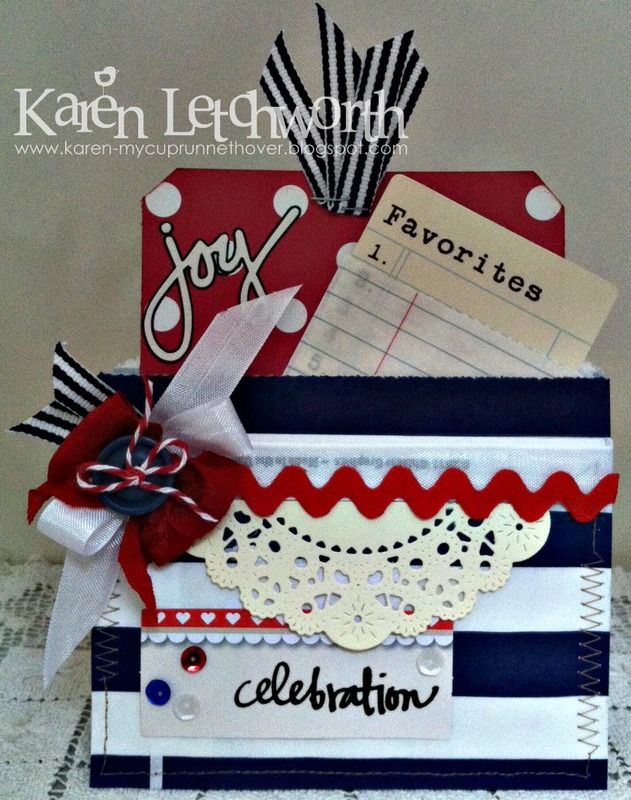 Such fun pocket card designs Karen. Adore the shabby chic feel of the first and the very patriotic feel of the second. Oh Karen you have been busy, and these are two beautiful projects! I'm going to have to second what Arnoldo said. Our team is blessed to have such a talented individual . Thank you Karen! AMAZING!! How do you think of these beautiful combos! So talented! !